Seriously fun and serious and fun. Naturally. Serious about being seriously fun, in a fun serious way. Seriously… Fun. Hey. It’s Dylan and Erik, the owners. 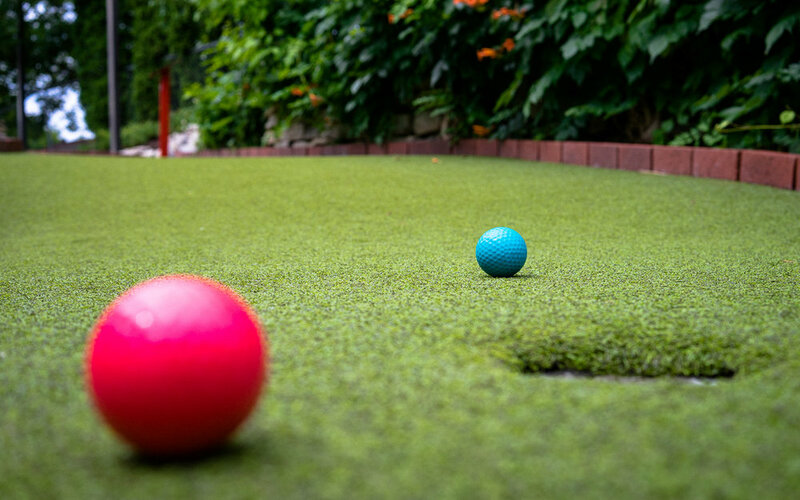 Before we owned AGC, we both played golf, and mini golf. We get the competition. We get that yes, the stakes are VERY high, and no, this is NOT a casual outing. IT’S FOR GLORY. FOR DOMINANCE. FOR VICTORY. Whenever we go out and play a round, it’s always competitive, and always fun. We think that there are many people who love the sport of golf, but don’t have four hours or $40 to play a round in a day. We want to provide a competitive experience at AGC that will meet your golf fix for a fraction of the cost and time! We are continually thinking of ways we can implement competitive aspects to our course. One that we are very excited about is being inducted into the Cornhusker State Games! Yes, whether you’re in the 6 and under, 19 and over, or doubles, we’ve got a division for you! Enjoy a competitive experience that can be as fun and competitive as you make it! Medals will be given! Champions will be crowned! And legends will be born! Go to our events page to see a full list of divisions and further details. Look forward to seeing you out there! We also are planning on implementing other events as well into our calendar. We are planning on starting a weekly adult league, developing a Master’s tournament, and more! Want to be on our scoreboard, so all can see your putting dominance? DO IT. But it is no small task, I can tell you that. Expect to get more than one ace if you want to join the elite golfers who make the top 10. Want to plan a tournament for your business? How about a tournament fundraiser? Chances are we’ve done it, and if we haven’t, we’d love to see if we can make it work! Contact us for more info, except we won’t provide tips on the course layout. Sorry.